Although built-in cabinets are more expensive than conventional ones, they also have many advantages. These pieces make the most of the space since they are installed in the ceiling, floor or the walls on both sides of the furniture. When occupying the space between the walls, no dust accumulates, and the only thing that needs to be cleaned is the door. These pieces adapt to various styles and can be lined with different types of doors like sliding or folding. 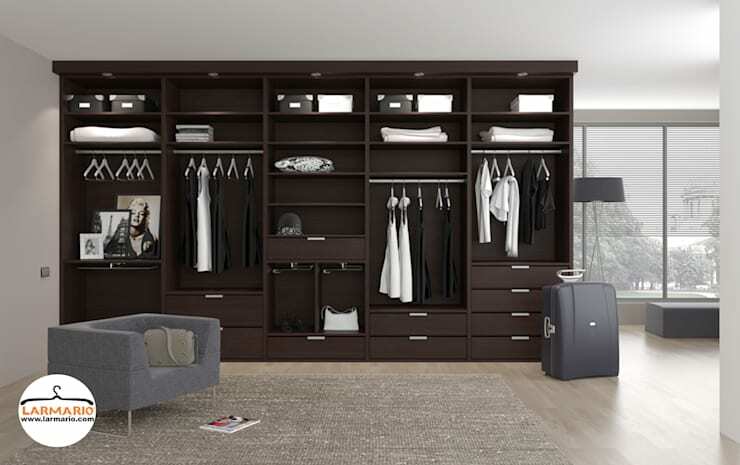 One of the most significant drawbacks of built-in wardrobes is the lack of flexibility. Once it is embedded, its location is fixed. That is why when we propose to change the decoration of the room the location of the closet will condition the new distribution. In case you are wondering about how to modernize a built-in wardrobe, then the best alternatives in such cases are to vary the design a little. You can open or decorate it entirely to make the closet look like different. If you want to know about how to reform a built-in wardrobe then adding mirrors is a tip that you must consider. By reflecting the light of the windows, the room will look much brighter, and the space will also appear more full. If the idea of mirrors does not convince you, maybe you can get inspired by the design shown in this photograph. 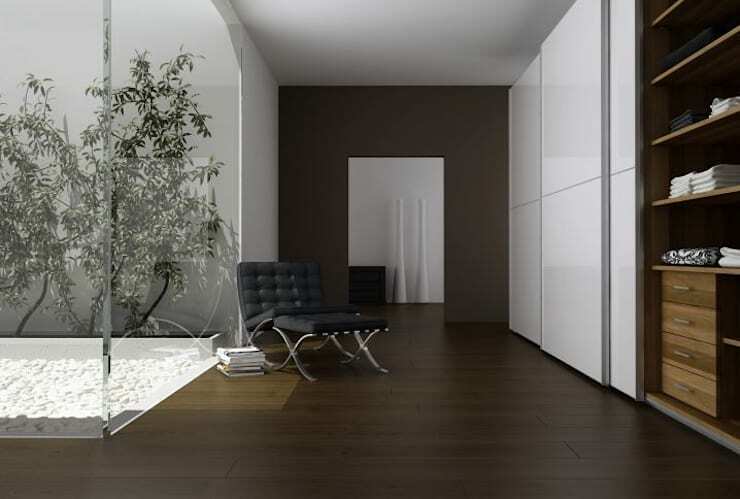 This built-in wardrobe has sizeable white glass sliding doors that also reflect light. It creates a space with lots of character. If you want to save space in your bedroom or the guest room, then consider integrating the bed inside a built-in closet. It will allow you to gain space. Also, you will be able to make the most of the area occupied by the wardrobe. We have often told you about the virtues and advantages of mezzanines. If your house has high ceilings, then take an example of this design to renovate your built-in wardrobe. 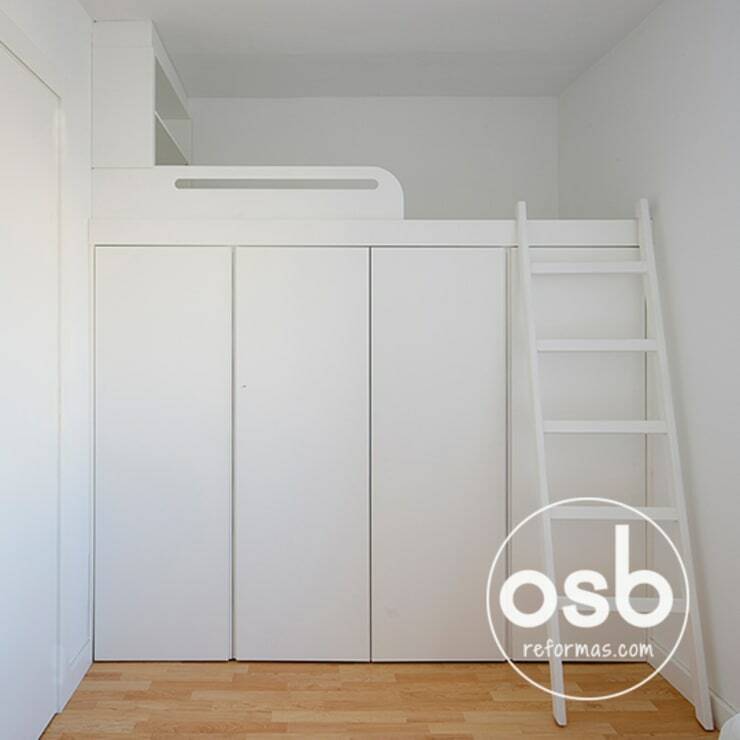 The designers have decided to place a built-in wardrobe that does not reach the limit to use the upper space as a sleeping area. It is an excellent way to take advantage of the square meters to the maximum and create a new stay. If you have a large closet, you can remove the doors and leave it open. 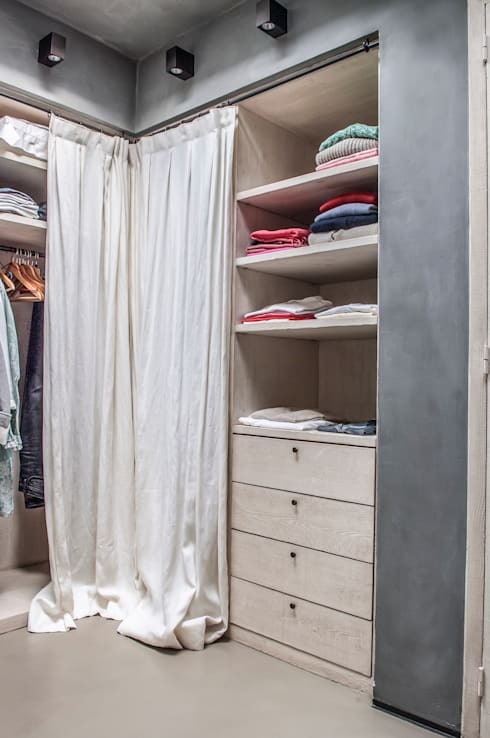 By including some drawers and shelves, you can create a dressing room in the blink of an eye. 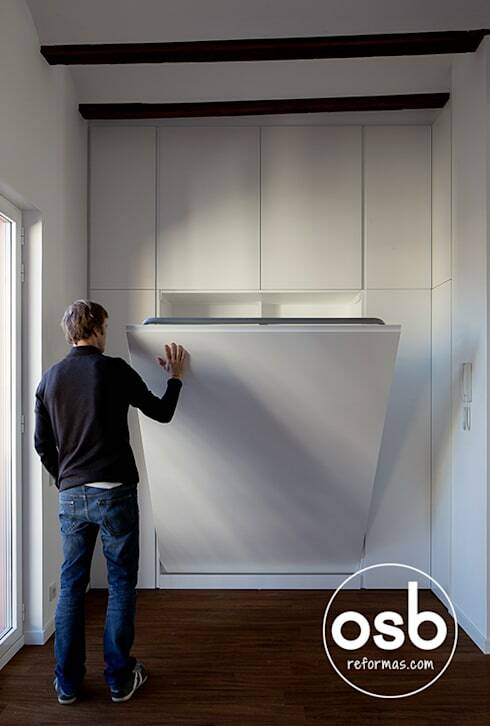 Also, when removing the doors, the closet will be less bulky. Another option is to place a dressing room like the one in this picture where the wardrobe is located. The design has multiple levels for the reorganization of clothing, shoes and all kinds of accessories. If you want to open your wardrobe without leaving everything in view, then you can use curtains. Cover with them the parts of the new dressing that you do not want to leave in sight. In addition to hiding the garments, the fabric will also serve as a decorative element. You can choose shades in neutral tones for Scandinavian style rooms or strong tones for rooms inspired by modern decoration. Last but not the least, to renovate your old built-in wardrobe you can change its door as well. You can beautify the doors by following the decorative style of the room in which they are located. In the design of this photograph, wallpaper has been added in the upper part of the wardrobe creating continuity.